WASHINGTON — The Pentagon successfully tested a U.S. long-range interceptor missile over the Pacific Ocean on Tuesday in an exercise aimed at helping gauge American readiness to counter any potential similar threat from North Korea. 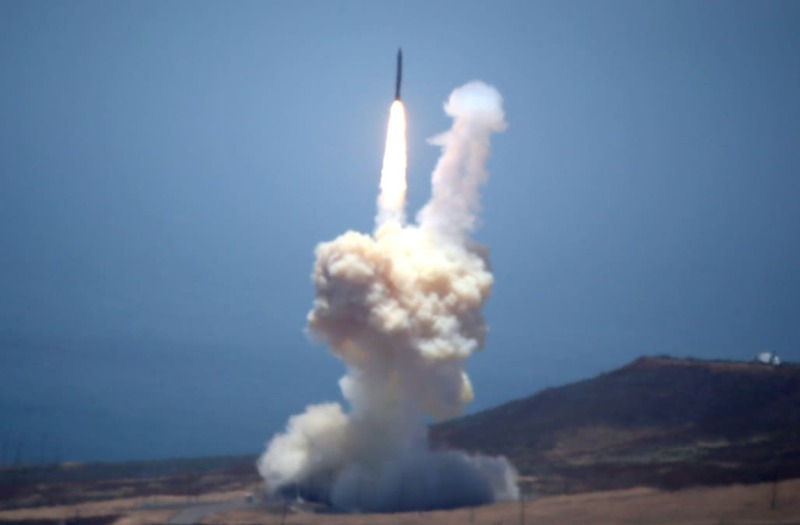 During Tuesday's scheduled test, the Pentagon's Missile Defense Agency launched an interceptor rocket from an underground silo at Vandenberg Air Force Base in California. The interceptor directly collided with and destroyed an intercontinental-range missile fired from a test range on Kwajalein Atoll in the Pacific, the Pentagon announced. U.S. Missile Defense Agency Director Vice Adm. Jim Syring called the test a "critical milestone" in a statement. "This system is vitally important to the defense of our homeland, and this test demonstrates that we have a capable, credible deterrent against a very real threat. I am incredibly proud of the warfighters who executed this test and who operate this system every day," Syring added. The U.S. military's test comes on the heels of North Korea's reported launch of a military projectile Monday morning that landed in Japan's maritime economic zone. It also comes amid heightened tensions between the U.S. and Pyongyang over North Korea's continued provocations. The $244 million test does not necessarily confirm that the American military is capable of defending itself against an intercontinental-range missile fired by North Korea. Pyongyang also is understood to be moving closer to the capability of putting a nuclear warhead on such a missile and could have developed decoys sophisticated enough to trick an interceptor into missing the real warhead. Before Tuesday, the most recent intercept test, in June 2014, was successful, but the longer track record is spotty. Since the system was declared ready for potential combat use in 2004, only four of nine intercept attempts have been successful. North Korea says its nuclear and missile programs are a defense against perceived U.S. military threats. Laura Grego, senior scientist at the Union of Concerned Scientists, which has criticized the missile defense program, calls the interceptor an "advanced prototype," meaning it is not fully matured technologically even if it has been deployed and theoretically available for combat since 2004.